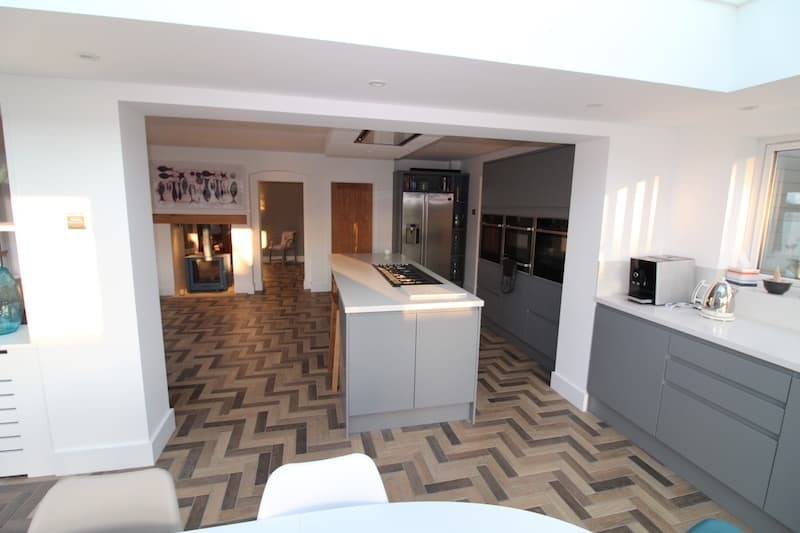 Reconfiguration of ground floor layout to family home, creating a new entrance area and open plan kitchen, living and dining area. The original dwelling had an awkward layout at ground floor with disjointed circulation spaces and stairs to the first floor only accessible through the kitchen. 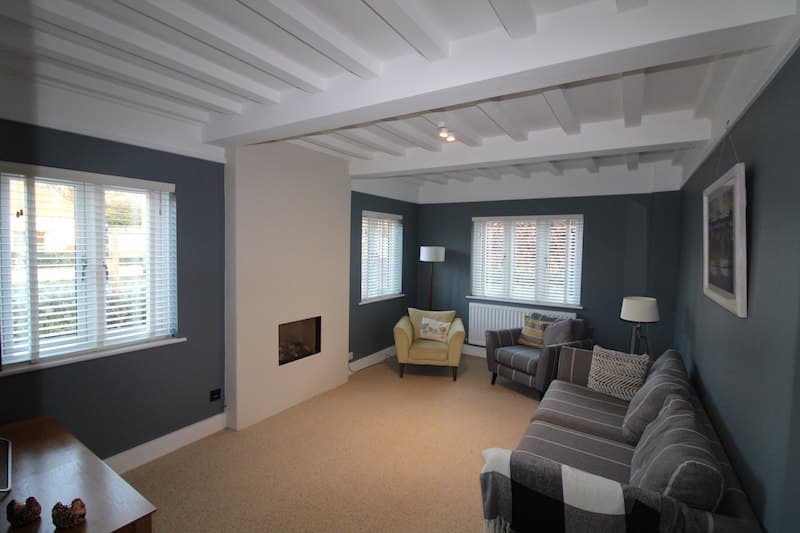 We were approached to rationalise the layout and modernise the overall feel of the dwelling. 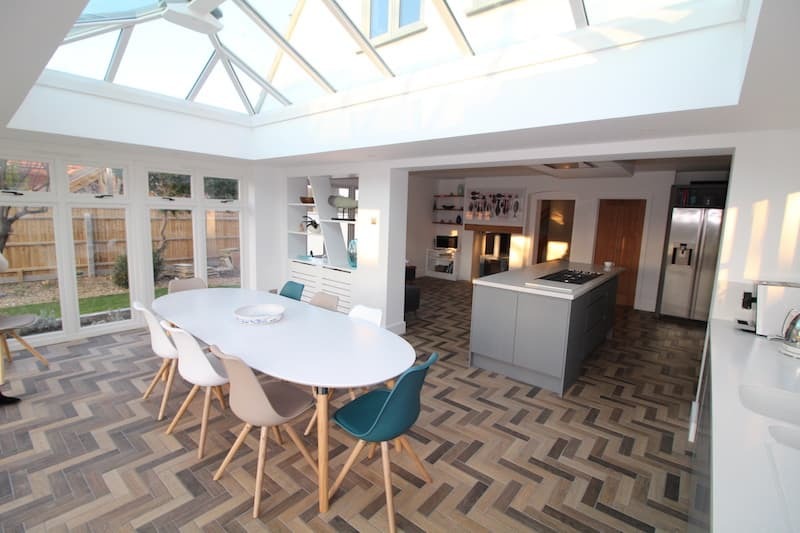 The previous living room and garden room were opened up to form a new large open plan kitchen, living and dining area. As the property sits on a corner plot, the decision was made to relocate the main entrance from the east elevation to the north elevation. 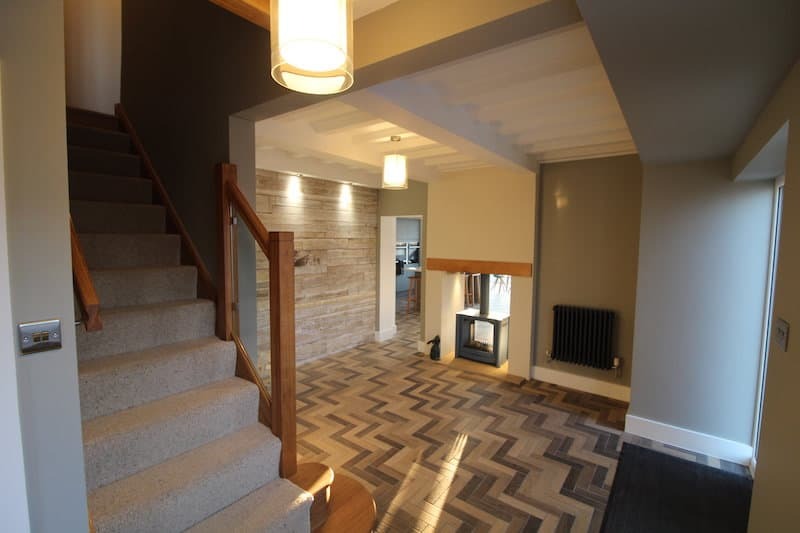 A small extension and internal reconfiguration created a large welcoming entrance area with direct access to the open plan kitchen, living and dining area, the study, a separate living area and the stairs to the first floor. The old entrance has become the rear access with utility, boot room and shower room. 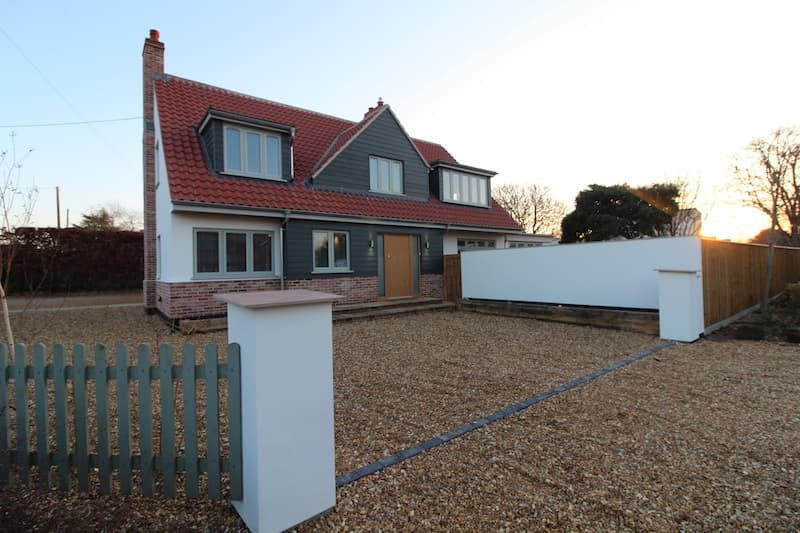 By moving the entrance, together with replacing the windows, incorporating elements of cladding, re rendering and extending brick detailing the exterior of the property has been transformed. 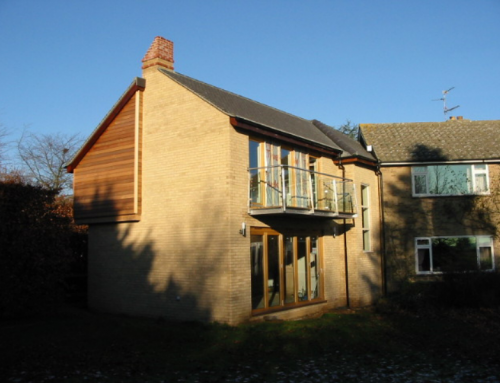 We prepared initial sketches, developed the design and submitted a planning application. 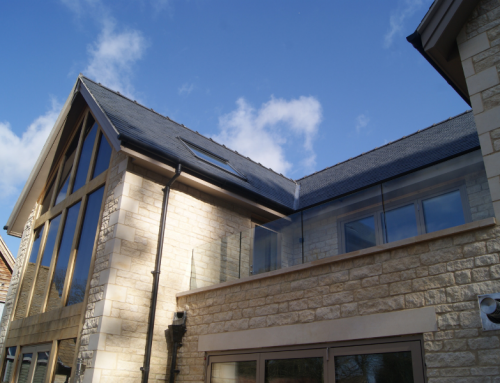 Following planning approval, we prepared technical drawings and specification, obtaining building regulations approval. 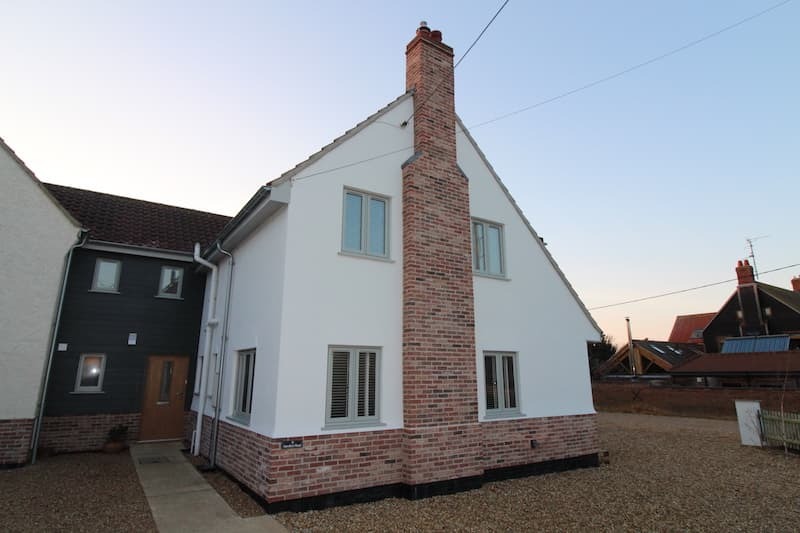 The client employed Bespoke Norfolk Ltd to turn the drawings into reality, with great results.